Over the next few months, 7,000 trees across Unley will be heavily pruned. They will be pruned by SA Power Networks (SAPN, formerly ETSA). It is a legislative program about which Unley Council has no control. From past experience there will be heavy pruning and disfigurement of the trees. Some trees may not survive the pruning. It has to be done and we can't intervene. SAPN plan to undertake a legislative vegetation clearance program across Unley in coming weeks. In some areas significant impact to the visual amenity of the city’s trees is likely. Administration is working with SAPN to mitigate impacts as much as possible, including in field monitoring of the works. However, it is still expected that in the order of 7000 trees will be pruned. These works will occur between mid-April and end of June 2015. Before the work commences we will be notifying residents via a variety of media forms. With all the concern about temperature rises and climate change, it is interesting to hear from another expert. Patrick Moore, a co-founder of Greenpeace wrote an article on carbon published in The Australian, 24-Oct-2014. It was titled We need more carbon, not less. The groups advocating less carbon were encouraged to have a cold shower and a rational rethink. The author suggests that we should review carbon levels over a longer time-frame, rather than just since 1860 when we developed the technology to measure global temperatures. It needs to be remembered that plants (and plankton in the sea) need carbon to survive. They love the stuff. It is their food. Another authority, Dr John Gladstones has spent his lifetime analysing the climate and climate change. He agrees with Patrick Moore that our atmospheric carbon dioxide has been in a downward trend over the past 150 million years. Back then the CO2 level was 3,000 parts per million (ppm). I was having a look through my wine rack recently and discovered a few bottles of 2002 Rose. I'd forgotten about them. I remember buying them 10+ years ago. I was up in the Adelaide Hills and visited a tin shed winery off the beaten track. I bought some Rose. From memory, there were paintings by local artists on display (and for sale) on the walls. Spoehr Creek, a tributary to the Onkaparinga River in the Mt Lofty Ranges is home to the endangered fish species the Mountain Galaxias. Spoehr Creek is working to restore the creek system to preserve the species. There is also a picture of the impressive looking fish. Maybe the label and fish enticed me to buy the wine. It used to be common to see such labels on wine bottles; reflecting proud local heritage and enticement to the customer. Who wouldn't buy a bottle to save a fish? It's not common these days. My verdict on the wine? Recently the Premier of SA announced his vision of driverless cars cruising the streets and roads of our State. It’s certainly a bold vision, but I wasn’t aware that the technology and more importantly the required road-side guidance infrastructure was mature enough and ready to be implemented. Realistically, I don’t think that we will be seeing driverless cars for 10-15 years. I could be wrong, but it won’t be within 5 years. 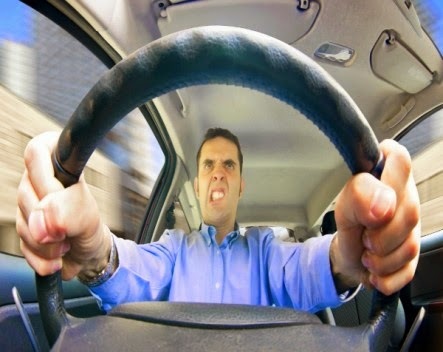 An interesting concept is what will happen to road rage? Will it decline when the road ragers know that the other car is just a robot? Or will it escalate and people pick on the robots? How will the robots be programmed to deal with road rage? It is outrageous that Aussies have become infected by hepatitis A by buying frozen red berries. Frozen berries that all Aussies believed were from Australia. Instead we learn that the fruit is sourced and processed overseas. Experts have advised that the problem is due to poor sanitary habits of the foreign workers; most probably due to inadequate hand washing after being to the toilet. Hepatitis A results from contact with faecal matter – no question. The style of toilets in use by the workers may also be adding to the problem. Then there is the disgusting fact that raw human sewerage is often used as a fertiliser for crops in China. Enough is enough! We should be buying Aussie grown and Aussie processed berries. Be prepared to pay a little more per pack; it beats the risk of getting hepatitis A by ingesting foreign faeces. A buy Aussie food campaign must be initiated. To be successful, we just have to pay a little bit more. It would inject a huge boost to the economy. The Fringe Festival has started in Adelaide and the city is coming to life. Sunday night I was down at the Garden of Unearthly Delights to see ‘The Magnets’. Absolutely fantastic. The Garden has an improved layout this year and seems less congested. It would have worse the night before on Saturday ‘Bogan Night’ with a temperature of 41 degrees C.
When Federal Education Minister Christopher Pyne announced plans for future teachers to be better educated he was confronted by protestors and the incident turned a bit nasty with Police using pepper spray. There were howls of protest - who wouldn't when sprayed with liquid chilli. I believe there is merit in ensuring that our future teachers are better educated and have the skills to nurture the development of our future kids. I do wonder how many of the protestors were actually future teachers. I suspect that they were university students who protest anything and everything. My kids have mostly had good teachers, but there were a few duds along the way. What's wrong with improving the quality of our future teachers? There is no better gift you can give your Valentine than a box of your favourites chocolates. That way you can share the pleasure on the day. I woke up with a big smile on my face. I started planning the day. It was Saturday and the weekend was here. A slow start and a few coffees were on the cards. The weather forecast was not too bad. ... and then it dawned - it was Friday - and I was off to work. Life has a few disappointments. The Cricket World Cup ‘kicks’ off this Sunday, with India vs. Pakistan. The local Indian community in Adelaide is in a frenzy. It seems that they all want to go to the match. They will pay whatever for tickets. The online ticket sales were a disaster. No-one could buy tickets during the allotted time. At work, a distraught Indian colleague approached me and asked for help to get tickets. What to do? I had to help him. He believed that I had contacts; that’s how it is in India. I am sure that it was all legal and above board, but I managed to get 2 tickets from someone who was, shall we say, unable to attend (using those tickets). Last night was the big bash welcome to the Indian players at the entrance to Adelaide Oval. There were activities, food venues, opportunity to meet the players etc. I expected 1,000s to attend. My Indian contact says that there were only 200 (+ politicians) there. Sounds like something went wrong, very wrong with the planning. The Indians didn’t know it was on. I've always wondered how the goon sack got its name. I never used to refer to it as a goon sack, but my kids do ... so it's an acceptable term these days. I thought that maybe there was some derogatory reference, other than to the usually cheap wine inside. The Urban Dictionary has an interesting definition viz. ... a silver sack filled with cheap wine which is found within a cardboard box. Drunk by youths in Australia due to its low cost however it promotes vomiting due to its awful taste. Hey, you want to get a goon sack and get maggot? Anyway, this year celebrates the 50 years since invention of the goon sack. It was conceived, invented and put into production by Riverland winemaker Tom Angove. He wanted a easy way to transport the equivalent of a half-gallon flagon of table wine. Hence the creation of the term goon, soon to become goon sack. It's a fantastic SA invention, just like the Hills Hoist, the Stobie pole and the Stump Jump Plough.